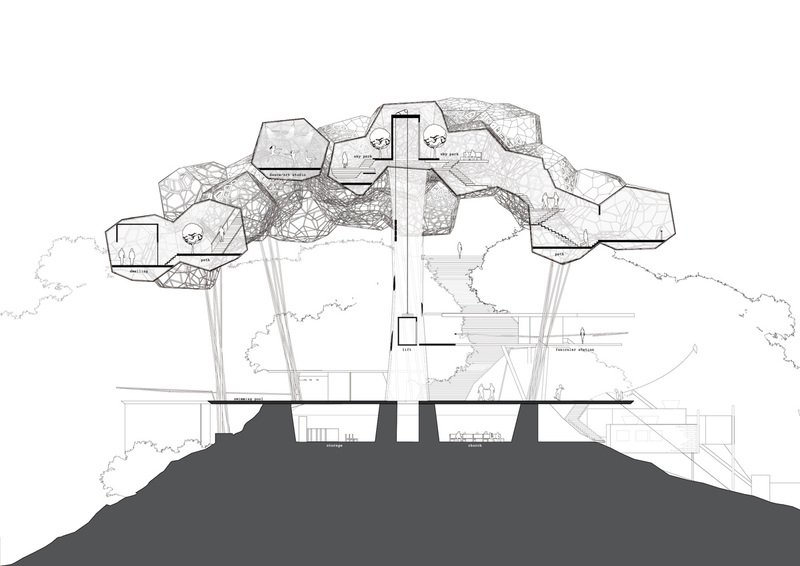 The vision for the cloud is the creation of urban hybrid architecture. It is a mixture of public and private functions with flexible spaces providing room for a multitude of planned and unplanned activities. 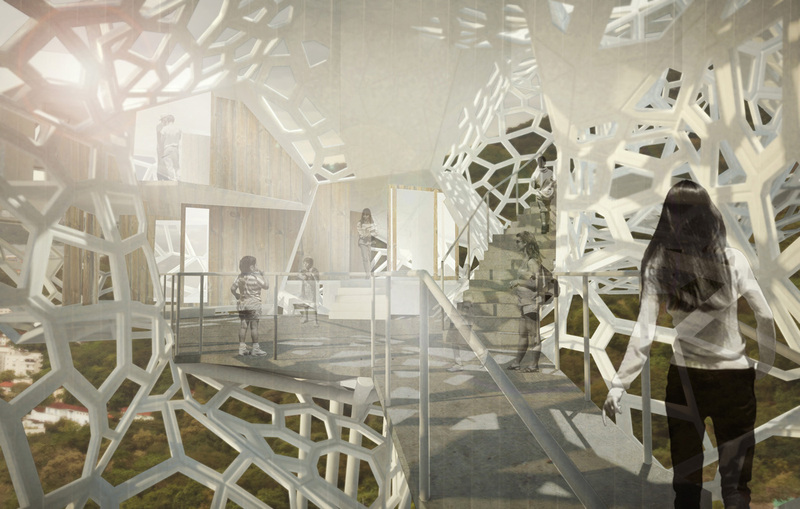 The project consists of two main parts. 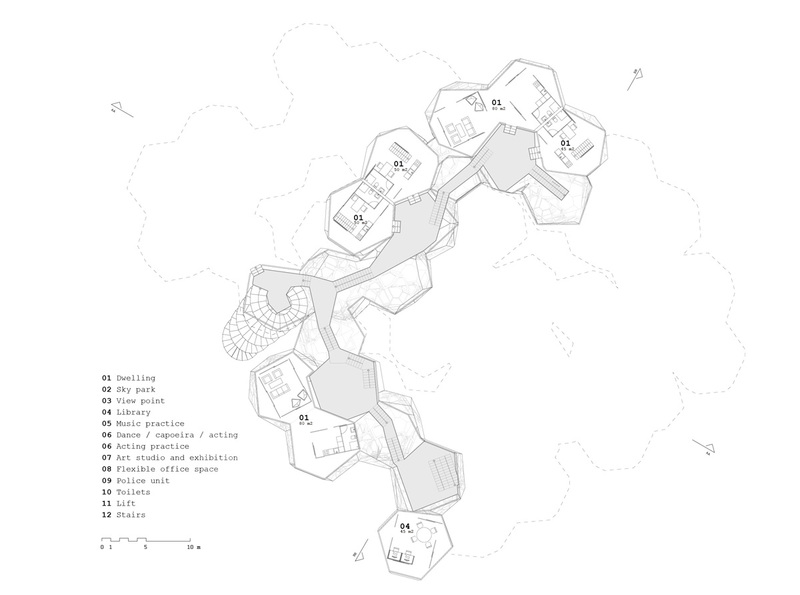 At ground level there is a base designed as an open plaza, which serves as a recreational area supporting an area related to physical activities such as football, swimming, climbing and outdoor fitness zone.Dwellings and public functions are distributed throughout the cloud and connected by a single path serving as a fluid and continues spine throughout the building. 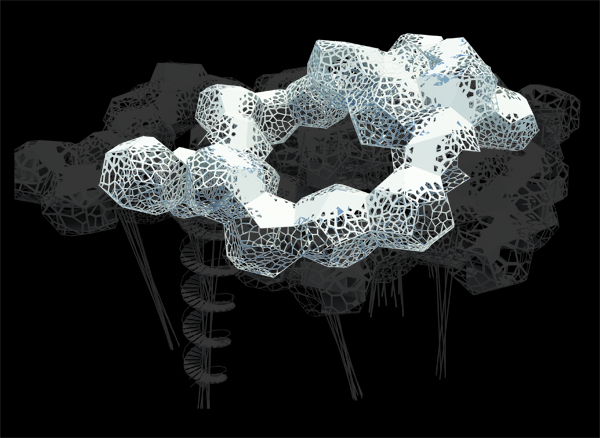 The intention is a symbiotic spatial organization where the different functions act together to form a synthesis, hybrid architecture, the Favela Cloud. 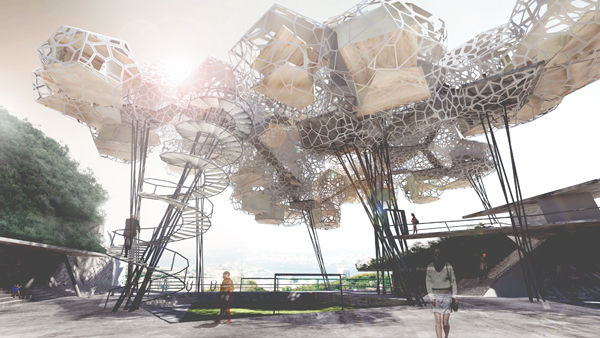 The cloud concept derives from the vision to create an urban cobogó. 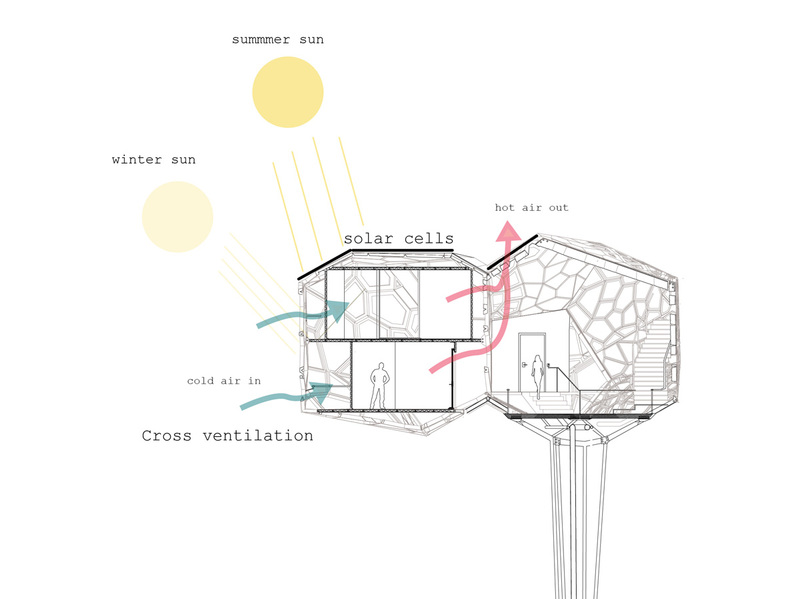 It becomes a structure that provides shading for a public space, which is otherwise directly exposed to the sun. 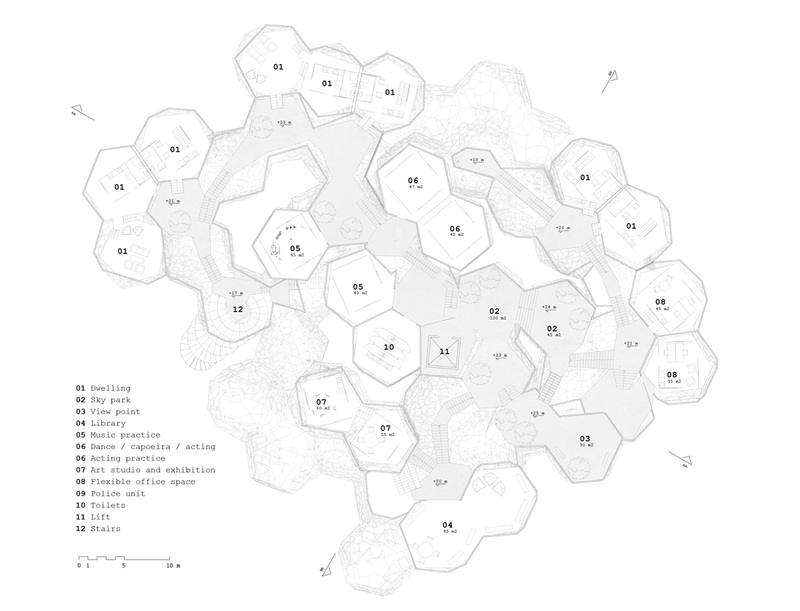 The idea is based on the elevation of the building volumes into a spatial organization over the football court. 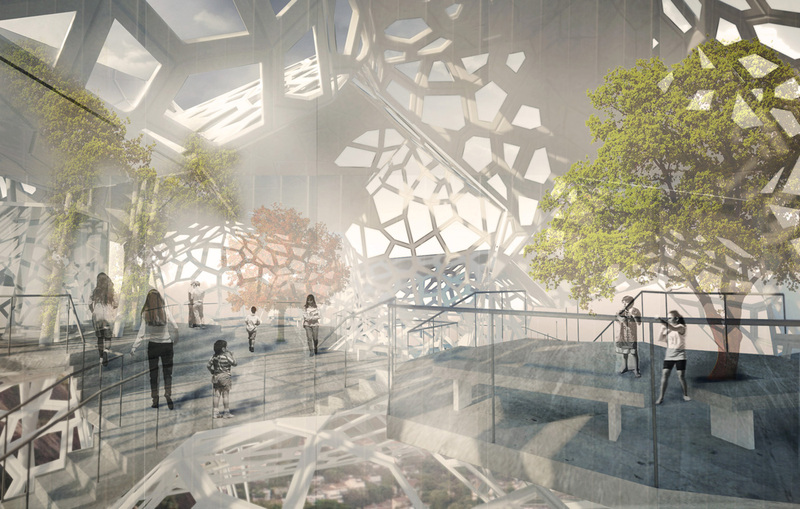 The structure will work as an active element enhancing the urban space beneath it. 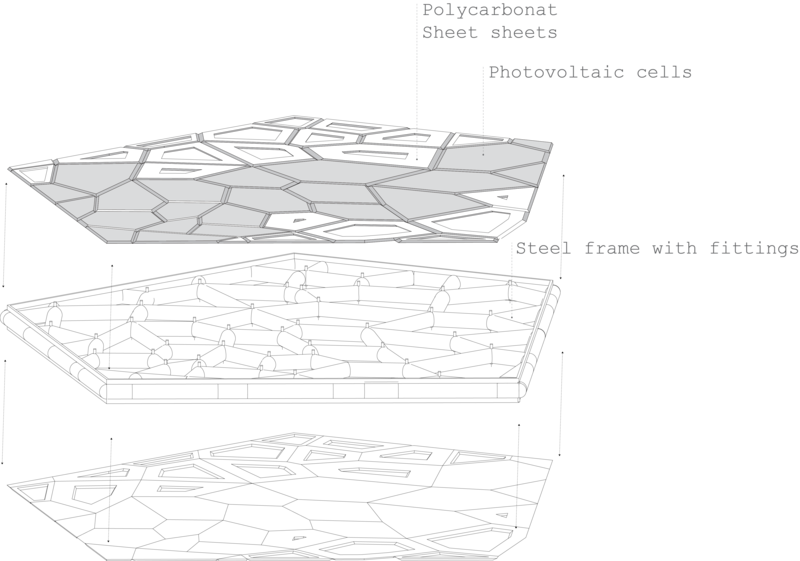 The move is made possible by a highly complex skin acting as a framework to support the platforms containing the various programs. 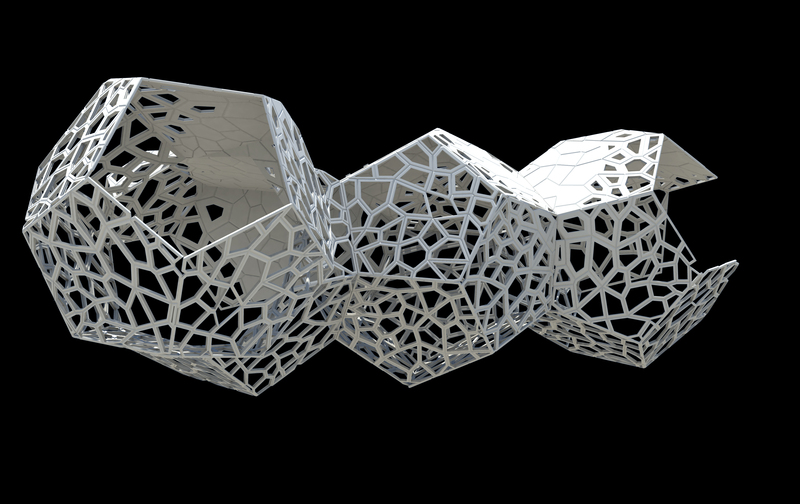 The skin wraps the hybrid program of the cloud and act as shading for the spaces underneath. Beautiful project. But… what about the barbecue at the “laje”? And the “puxadinho” for the newly-wed children? Or the extra-bedroom for the old mother? Ways for the elders and handicapped? 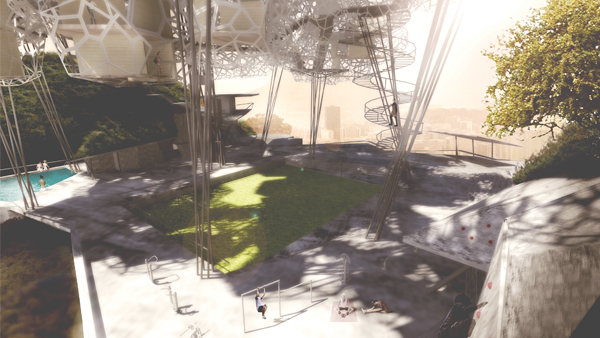 Place for the little garden and for the children to play with their marbles, kites and dances? And for the “birosca”, among other initiatives allowing creative people to invent alternatives that express other aspects of their needs? 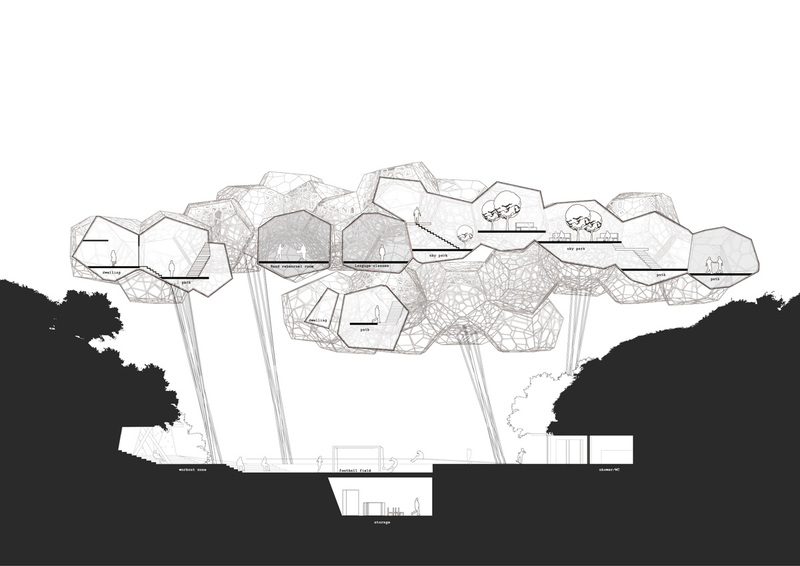 Wouldn`t be more appropriate to apply the idea on a “Upper-Middle-Class Cloud”, a closed condominium over an exclusive and sophisticated shopping mall surrounded by enough parking place for their luxury cars? Sorry for the irony – I`m a cartoonist. But take my idea seriously. The project is beautiful indeed, it just missed the potential clients. Will this be made? Or is this just a drawing concept? 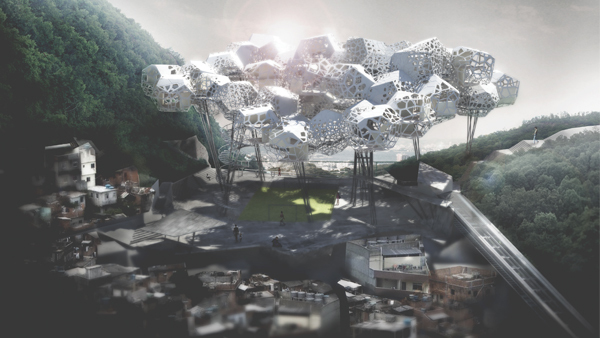 So far it’s a concept created to study the possibilties of the favela and to act as inspiration for future projects. 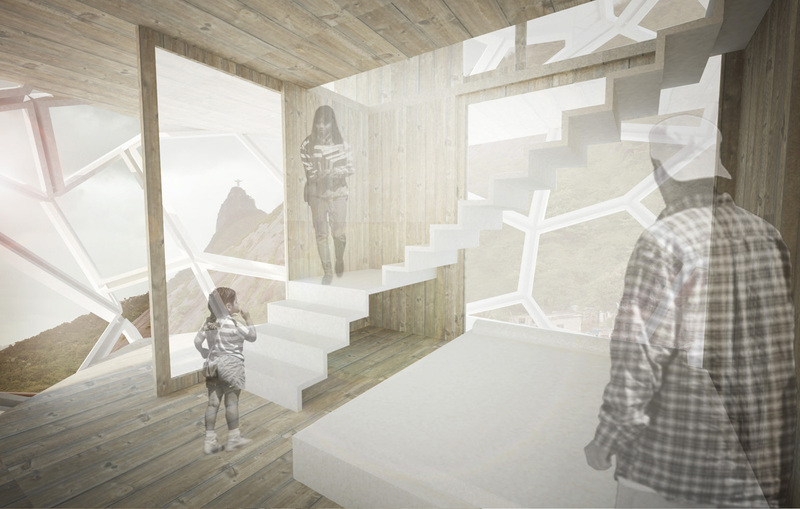 At the same time the intention of the project is the emergence of a more sustainable building culture, to create public spaces and dwellings that follow the logic of the favela. Our hope is that the project can inspire the right people. At the bottom line it’s a question about funding.